The news regarding the Ebola eruption in small West African countries continues to darken. The death toll is now over 2600, with Liberia, Guinea, and Sierra Leone the hardest hit. This number of deaths is a major jump from just over 1000 deaths in early August. In a blog post back in late March this year, we were talking about fruit bats being the reservoir for the virus and Guinea banning bat meat at its markets. At the moment there is no concern over the reservoir, as the virus is out and raging through humans. Yes, just a few months ago in March, there was no real awareness of an effective vaccine. 6 months later, there appears to be something of value - ZMapp - though it has still not been properly tested as in a clinical trial on humans. The lack of testing did not stop several Westerners and two Liberian doctors from getting dosages, however, and behind the headlines, there is no doubt a frenzied effort to evaluate the vaccine for real results and possible widespread use. Unfortunately, the Spanish priest and one of the Liberian doctors did not survive, unlike two Americans - one doctor, one missionary - who did after being flown back the the U.S. for intensive treatment. ZMapp, the experimental Ebola drug is produced by Mapp Biopharmaceutical Inc. a California-based company. The company said after a few doses handed out "that in responding to a request from an unidentified West African country, it had run out of its supply of the treatment." From a CBS report in late August, "it is expected to be months before more can be produced by its U.S. maker. Health experts caution that the drug had never been tested in humans before and it was unclear whether it actually works. It appeared to help two Americans who received it, but experts note there is a huge gap between the treatment the two Americans got at an Atlanta hospital, where five infectious disease experts and 21 nurses provided rigorous care, and the medical care available to victims in West Africa, where even such basics as sterile fluids can be in short supply." Teatree thinks it appropriate to highlight the bravery of Liberian, Guinean, and Sierra Leone health workers who are stepping up to challenge the disease. Among the thousands of deaths, many are health workers, beyond family members who were on the immediate front lines. 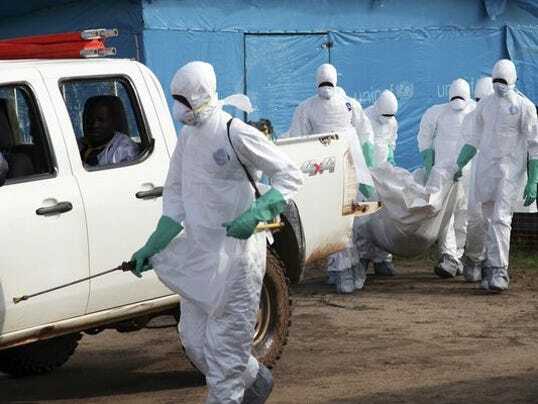 Late this week, the government of Sierra Leone declared a three-day curfew across the country of 6 million, while a "surge" of health workers would systematically search for those suffering from Ebola. 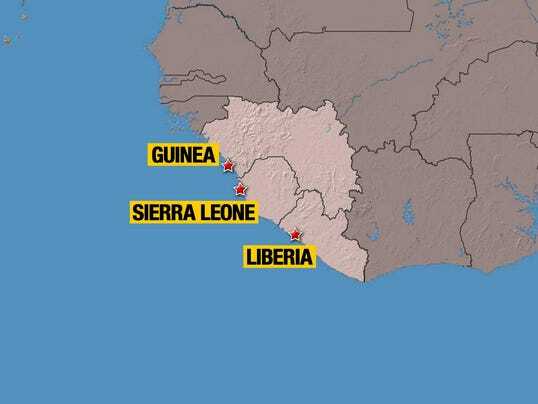 From the BBC, "Sierra Leone is one of the countries worst hit by West Africa's Ebola outbreak, with more than 550 victims among the 2,600 deaths so far recorded. In the capital, Freetown, normally bustling streets were quiet, with police guarding roadblocks. 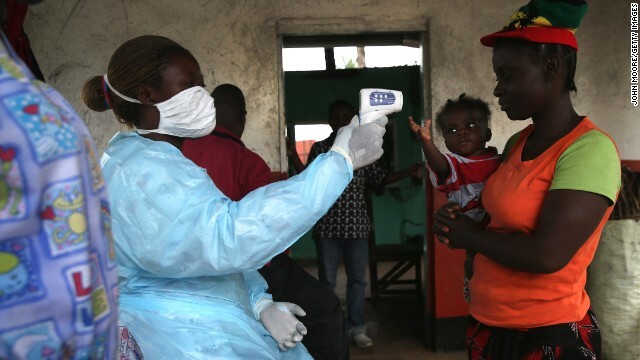 During the curfew, 30,000 volunteers will look for people infected with Ebola, or bodies, which are especially contagious. They will hand out bars of soap and information on preventing infection. Officials say the teams will not enter people's homes but will call emergency services to deal with patients or bodies. Volunteers will mark each house with a sticker after they have visited it, reports say. On Thursday, President Ernest Bai Koroma said: "Extraordinary times require extraordinary measures." He urged citizens to avoid touching each other, visiting the sick or avoid attending funerals. 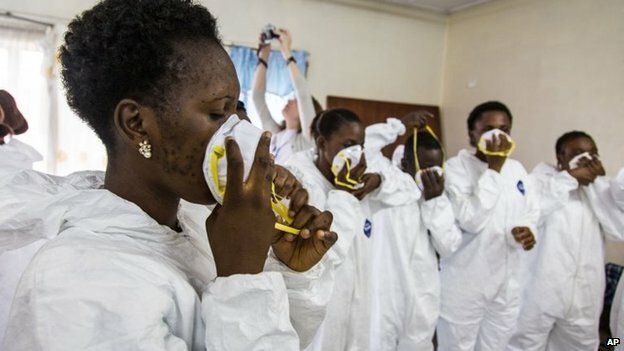 Freetown resident Christiana Thomas told the BBC: "People are afraid of going to the hospital because everyone who goes there is tested for Ebola." 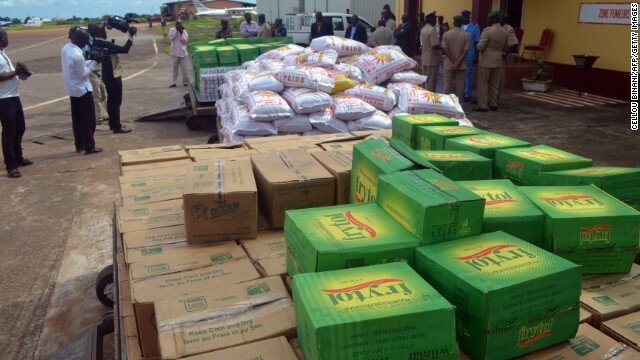 Another resident in Kenema, in the east of the country, told the BBC families were struggling because the price of food had gone up. In the hours leading up to Sierra Leone's lockdown, there was traffic gridlock in Freetown as people stocked up on food and essentials." With such a deadly contagion, citizens are fearful, angry, and suspicious. Eight individuals - a team of health workers, local officials, and journalists - in Guinea were attacked and killed by villagers who had armed themselves with machetes and clubs. In other instances, hospitals are avoided and talked of as where Ebola is spread. A New York Times article noted, "A fear of contagion ... “aversion behavior” is driving most of the economic losses. Panic is closing places of employment, disrupting transportation and severing air and sea links with other nations, the analysis found. So these countries are now struggling deeply - the fragile social fabric in normal times is fraying. Responses from outside the infected countries? Kind of tardy. While the UN works ponderously to develop a response, Doctors without Borders and the World Health Organization (WHO) have moved towards the region in various ways. The most striking response to date is from the U.S. where in mid September, President Obama directed 3000 military to engage on the ground, providing medicine and equipment to augment the national responses, as well as $750 million in aid dollars. From the Economist, "His move follows earlier, more modest, commitments from countries such as Cuba and China (each is sending about 170 people) and Britain, which will build a 62-bed hospital. Commitments from other countries look even more paltry. Germany will provide a few million dollars, the European Union is giving $15.5m (though it is giving 12 times that amount in general humanitarian aid) and a laboratory." Deadly and tragic, and not nearly over.